Important: Please note that there are known limitations and possible issues. Read the information carefully. Also, please note that the free-form mode is only available on Android 7 and newer. Floating normal installed apps is not possible on non-rooted older Android. In case of any problem, please contact us via fa@lwi.cz. 1. Before enabling the free-form mode, please turn off Floating Apps (Settings > untick Enable Floating Apps). Also, please turn off Floating Buddy if you use it. 2. 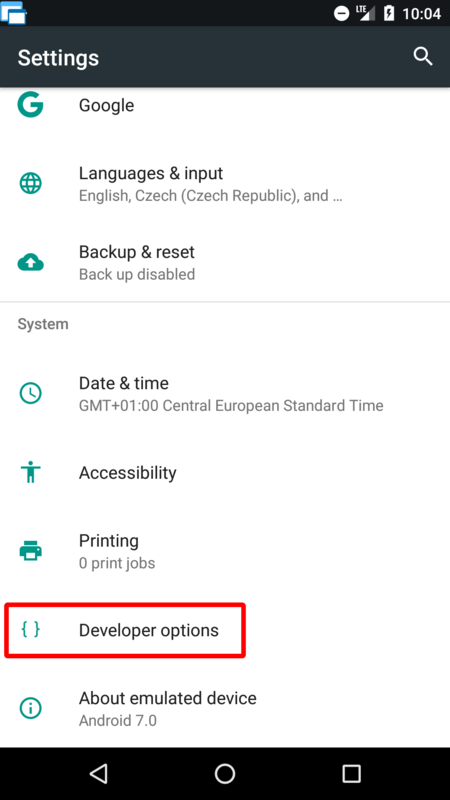 Go to phone's Settings > About and tap on Build number seven (7) times to enable developer mode. 3. Now, there are Developer options available in the phone's Settings. 4. Go to the Developer options, scroll down and enable Force activities to be resizable. 5. 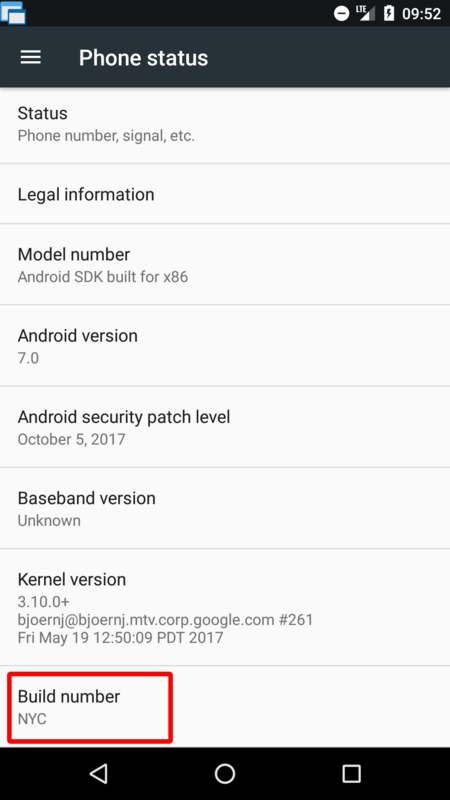 If you are running Android 7, reboot your device and you are done! For Android 8 or 9, please continue with the instructions for Android 8 and 9 below. For some devices running Android 7, these steps are not enough, and the free-form mode is not fully activated. In such cases, please continue with the instructions for Android 8 below. 1. 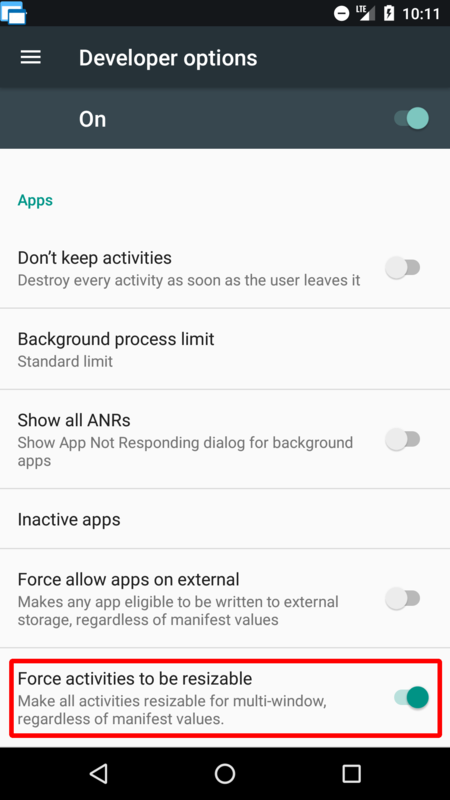 Please follow all instructions above for Android 7 first to enable Developer options and Force activities to be resizable. It's necessary for the free-form mode to work correctly! 2. 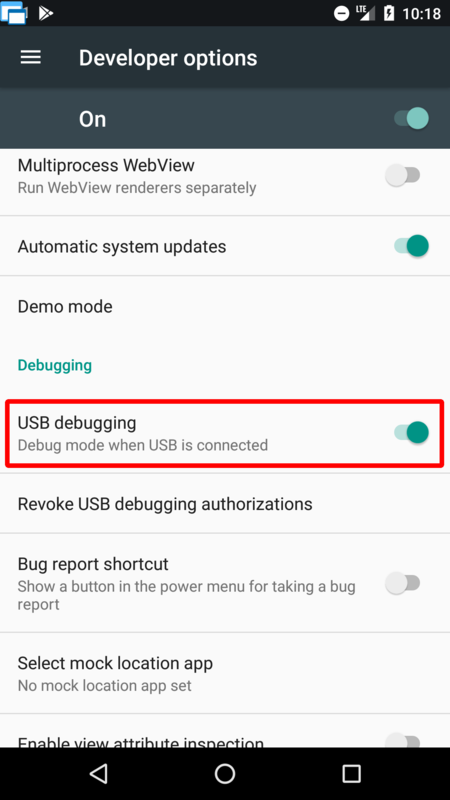 Go to the Developer options and enable USB debugging. 3. Now, you need a computer to continue. 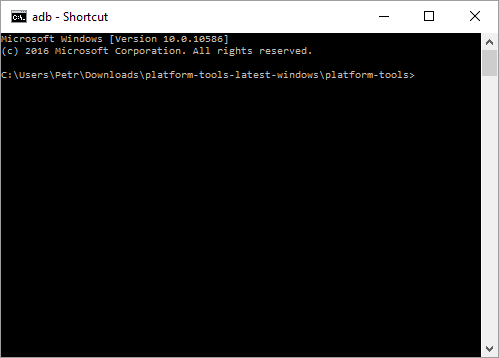 Download SDK Platform-Tools for your computer and extract the downloaded archive. 4. Connect your device to the computer via USB cable. You may need to install additional drivers for your device. Please refer to instructions for your device or the website of your device vendor. You can also find some information about drivers on Google's Install OEM USB Drivers. Note: If your device asks you for a confirmation of communication with the connected computer, please confirm it. 5. 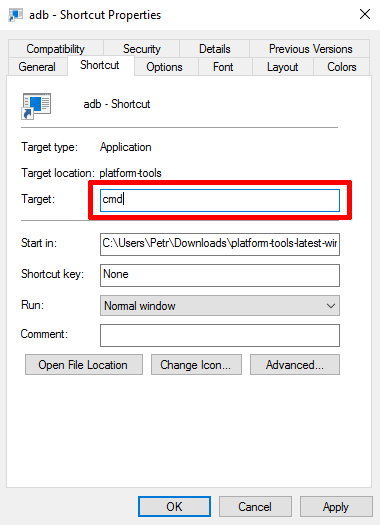 Go to the extracted folder platform-tools and right click file called adb and select Create shortcut. 6. 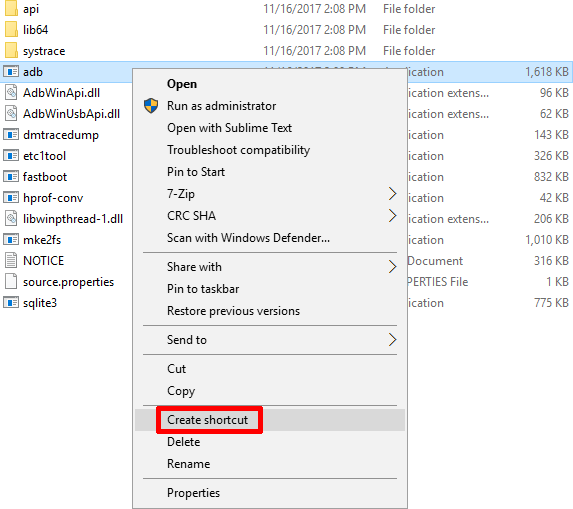 New file adb - Shortcut will appear. Right-click it and select Properties. 7. Navigate to Shortcut tab, remove whole text in Target text field, replace it with just cmd and press OK.
8. 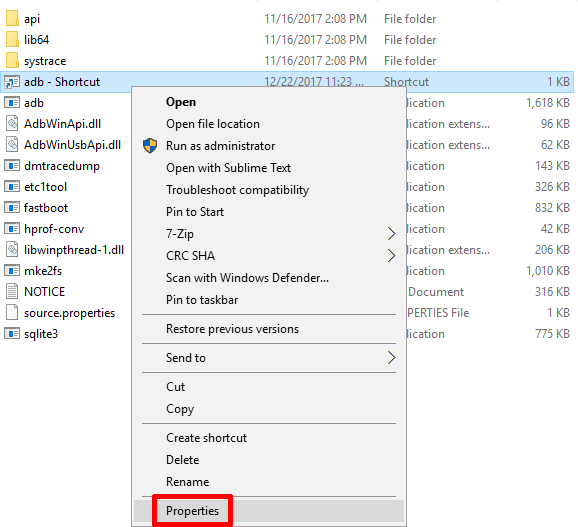 Start (double click) adb - Shortcut file and a black terminal window will be shown. 9. 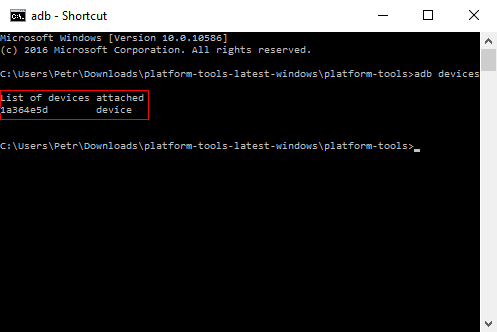 Type adb devices into the terminal window and press Enter to see if your device is correctly connected. You should see something like in the image below. This is my Samsung S5 connected. Note: If your device asks you for a confirmation of communication with the connected computer, please confirm it. 10. 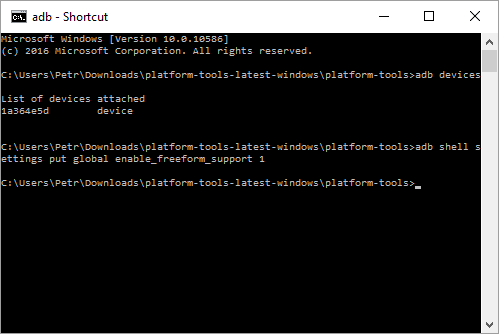 Now, type adb shell settings put global enable_freeform_support 1 and press Enter for enabling the free-form mode. 11. Disconnect your device, reboot it and you are done! If the free-form mode is still not working for you, please visit the page with information about limitations and possible issues.